We offer the best deals on dedicated server hosting in India. The packages offered are specifically designed keeping in mind the needs of small as well as large-scale businesses, so you can easily find an immaculate dedicated hosting plan that works well, not just with your finances, but also with your hosting performance expectations. Guide To Dedicated Hosting is our small attempt to get you acquainted with all the necessary information about dedicated hosting. It can help you make an informed decision easily which brings high profits for your organization from several channels. Dedicated hosting provides an exceptional hosting environment where one or more servers are reserved only for a single customer. The client is provided with the server machine, dependable connectivity and also with all the necessary hardware as well as software to run the server. Choosing services for dedicated hosting in India, you can avail various opportunities to obtain a multitude of benefits that such sophisticated hosting has to offer. We take pride in offering top-notch dedicated hosting packages in India that are specially tailored to suit all your needs. Why you need dedicated hosting? Bagful offers the best dedicated server hosting services in India, we have customized packages according to the business requirements of resources and stability. There are far less maintenance issues with a dedicated hosting package. It is highly secure, and as you are the sole owner of the server, there are less possibilities of any security breaches. You do not need to be concerned about sharing space with other websites. Installation of complex software can be easily done without influencing the stability of the server in any manner. When you must switch to dedicated hosting? When you want a custom-made hosting package that covers all your demands and requirements. If your website is complex and requires a huge amount of disk space, high bandwidth and also multiple apps and software. When there is high traffic on your website and it requires extraordinary data transfer capability. In the event that you want to gain full control of your website then you must consider the option of dedicated hosting, as in such a hosting plan the execution of website is just controlled by internal components and not by different sites. 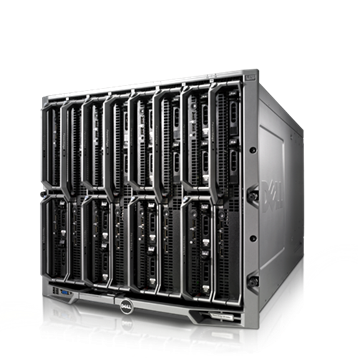 What to consider while buying a dedicated server plan? You must have a clear picture about your budget before making any concrete step towards purchasing a dedicated hosting plan as this category is one of the most expensive hosting owing to its private nature. It is also equally imperative to be precisely aware about the requirements of your website and choose a plan that can accommodate every single of them efficiently. There are numerous plans of dedicated server hosting in India we offer and you can effortlessly pick the one that matches not only your needs, but also your finances. How Dedicated Server is different from VPS Server hosting? Dedicated web hosting packages are the most expensive sorts of hosting packages, as the setup is exclusively provided to only one server. Then again, the VPS web hosting plans are the most reasonably priced plans, as the expense is lessened because of shared resources. Dedicated hosting plans in India require the complete equipment setup, as the owner of the website would not be sharing anything with anybody, whereas, the hardware for VPS hosting is shared by more than one website owner and subsequently, numerous web hosting servers can run on a single hardware setup. Dedicated server hosting setups are a little more complex and complicated than vps hosting set ups and in this way, you may need to gain some additional technical expertise to manage them. With dedicated hosting in India, the principal disadvantage is that the expense included is high due to the infrastructure, supplies and the support that is needed. In the event that cost is an imperative variable for you then VPS hosting would be a better decision since you would have the capacity to enjoy great benefits without incurring a high cost. In case of both, You would require some measure of technical learning when you work with this kind of server. As far as security is concerned, both VPS and dedicated web servers offer high state of security to the websites, as every setup is totally disconnected from others in both the cases. It is important to know that VPS, with appropriate virtualization, can efficiently act as a dedicated web server.